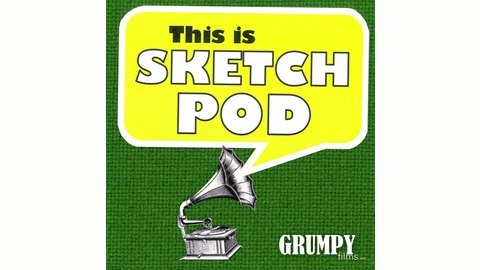 From the silky-smooth vocal cords of GrumpyFILMS comes SKETCH POD...riding out of the West to rescue your ears (and the rest of you, if you're willing to come along) from the drudgery of work-a-day podcasting. 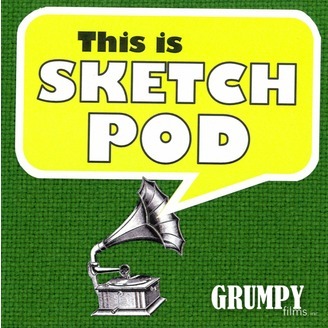 A frothy mélange of sketch, storytelling, and chit-chat (with a tasty, audio-only center), allow us to marginally occupy your attention for these all-too-brief fifteen minutes! Contained herein, one Jed Resnik opens with a joke from his nephew. Then "Lady of the House" offers stuffy advice and critical guidance. And lastly, Selena Coppock rubs elbows with Russell Crowe (and his "mangos") at an SNL after-party.